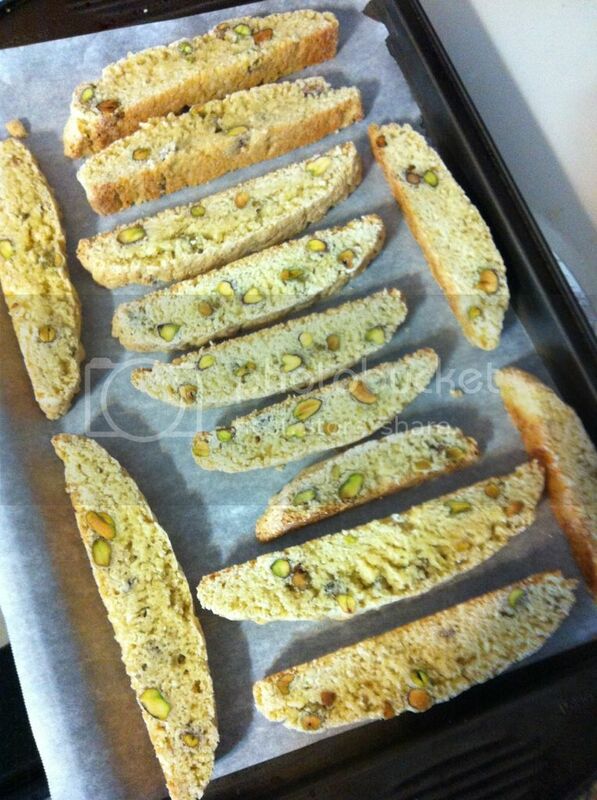 Fatgirl Hedonist: White Chocolate Dipped Key Lime & Pistachio Biscotti Recipe For The Food Blogger Cookie Swap! 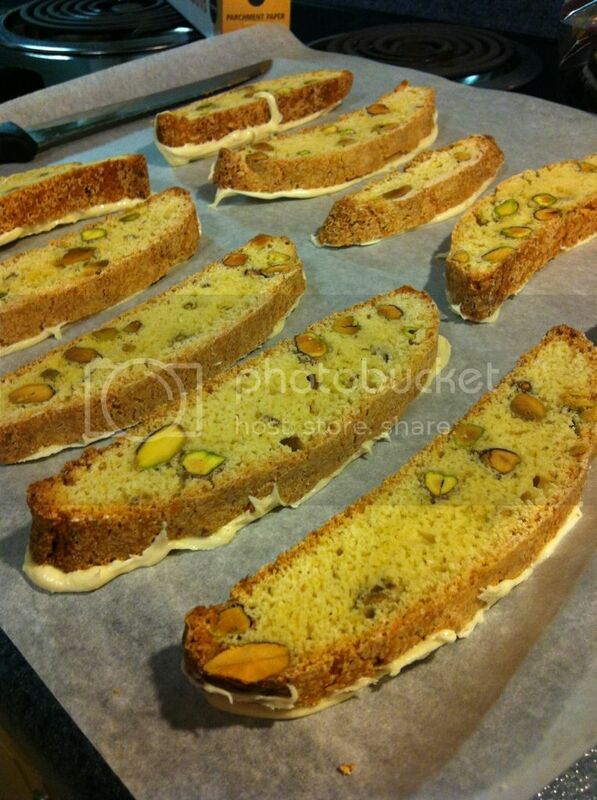 White Chocolate Dipped Key Lime & Pistachio Biscotti Recipe For The Food Blogger Cookie Swap! I wish I could take the credit for this recipe, but the truth is I can't. The original recipe comes from Hedy Goldsmith's cookbook, Baking Out Loud. I made a few adjustments to the recipe to make it more of my own. I hope you enjoy them as much as I did! Preheat oven to 325 degrees and position rack in the center of the oven. Line a baking sheet with parchment paper. 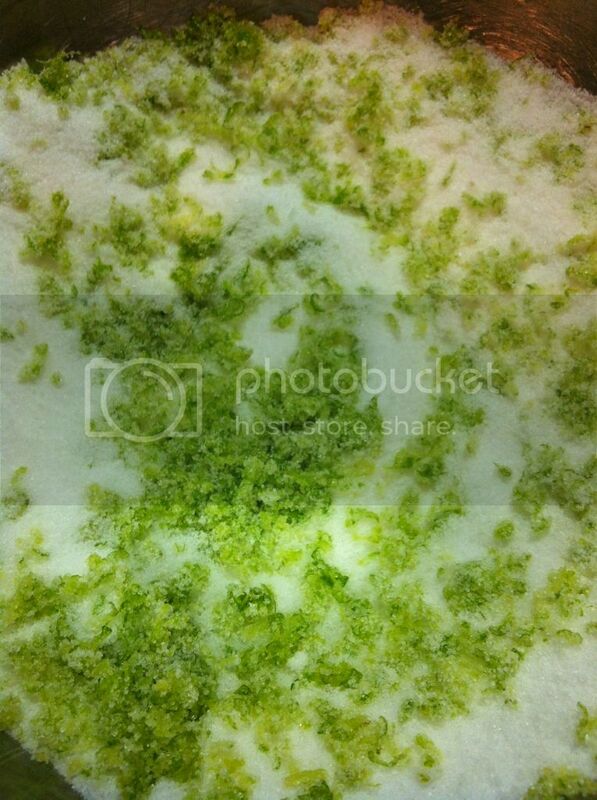 In a large bowl combine the lime zest and sugar. 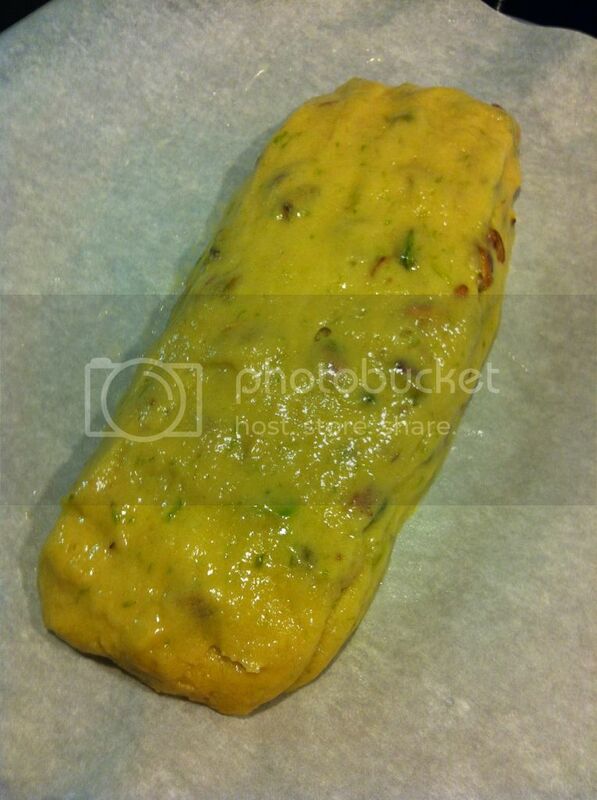 Add the flour mixture and pistachios, mix until combined. In a small bowl whisk together the eggs, egg yolk, lime juice and vanilla until well blended. 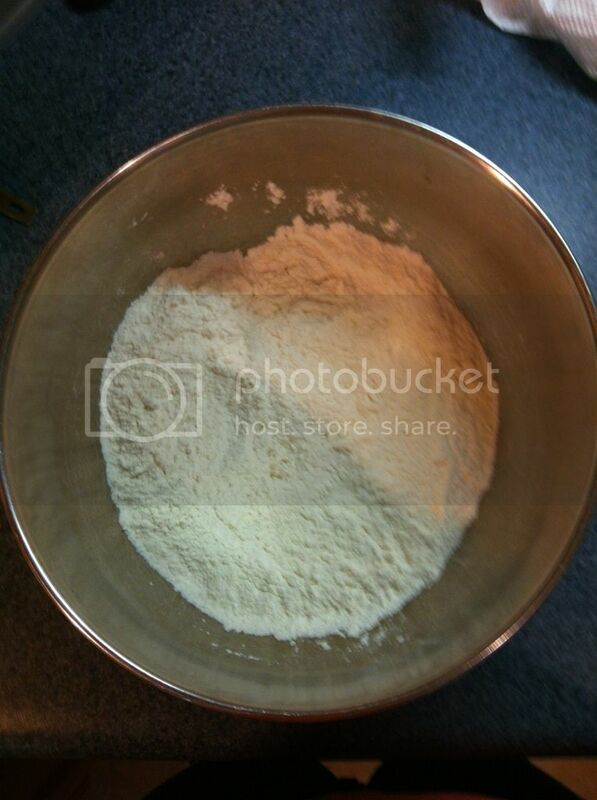 Pour the egg mixture over dry ingredients. Don't be afraid to get dirty and with you hands mix everything together. It will seem very dry at first but will come together and form a wet dough. 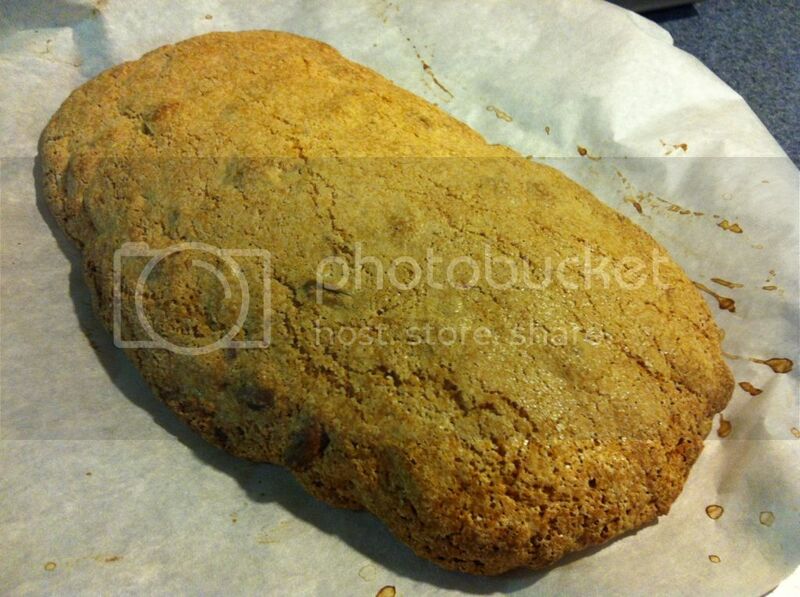 Scrape the dough onto the prepared baking sheet. Using wet hands, form the dough into a log about 14 inches by 3 inches. Rewet your hands if they get sticky again. Bake for 33-35 minutes, until the log is light brown and gives slightly when pressed. DON'T OVERBAKE! Transfer the baking sheet to a wire rack and let cool completely. Carefully remove the log from the parchment paper and place onto a cutting board. Using a serrated knife and a sawing motion, cut the log on the diagonal into ½ inch thick slices. Line the baking sheet with a fresh piece of parchment paper. 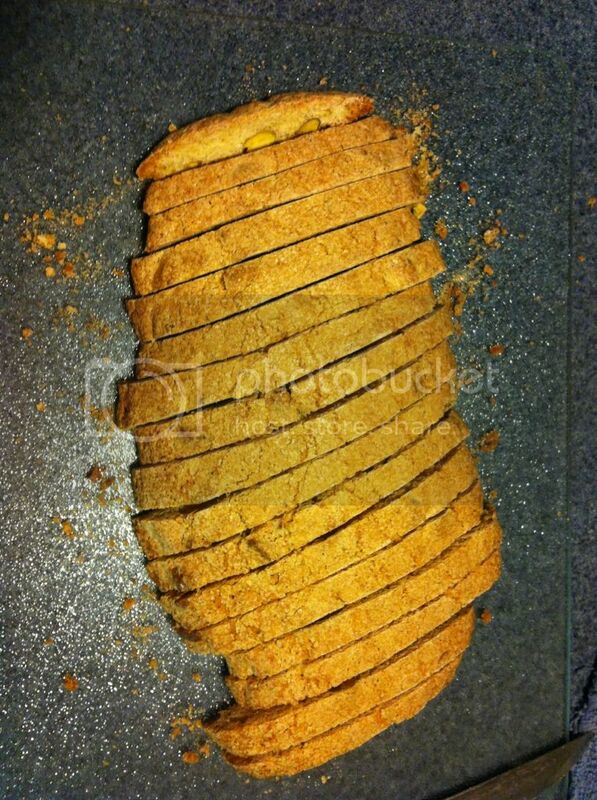 Place the slices on the baking sheet, cut side down with a little bit of space between each slice. Bake for 15-18 minutes until the are dry. Transfer the baking sheet back to the wire rack and let cool completely. Now you can end here if you don't want chocolate on the biscotti; they're delicious either way. Melt about half of the white chocolate in a bowl over a saucepan of simmering water, stirring occasionally. Once it's melted, add the remaining chocolate and stir. Once all of the chocolate is melted, using a spatula spread the white chocolate along one of the sliced sides of the biscotti then place face-down onto the parchment paper.